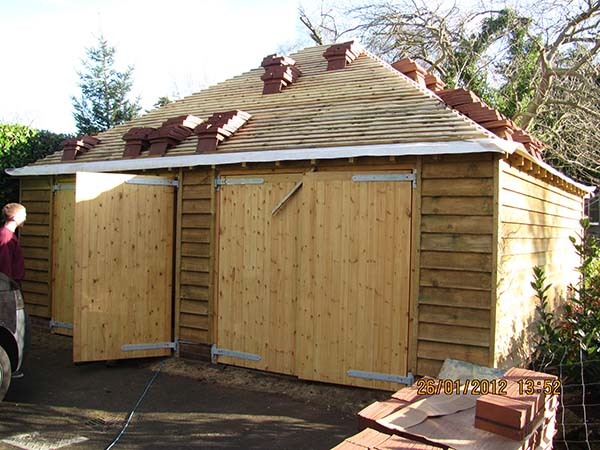 The project was to design and build a new timber bespoke garage to replace the existing precast concrete garage with a corrugated roof. 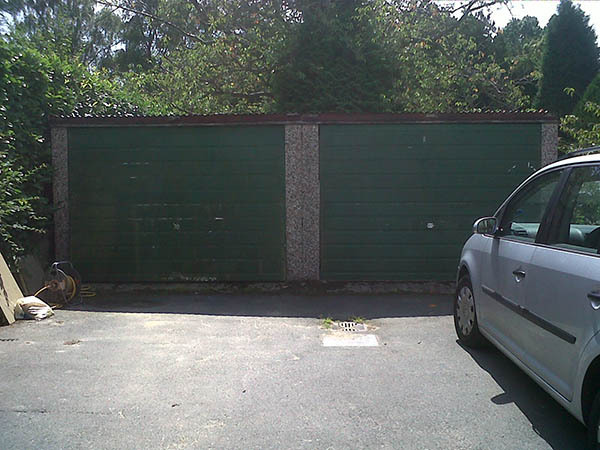 We demolished the existing garage and cleared away all the rubbish. 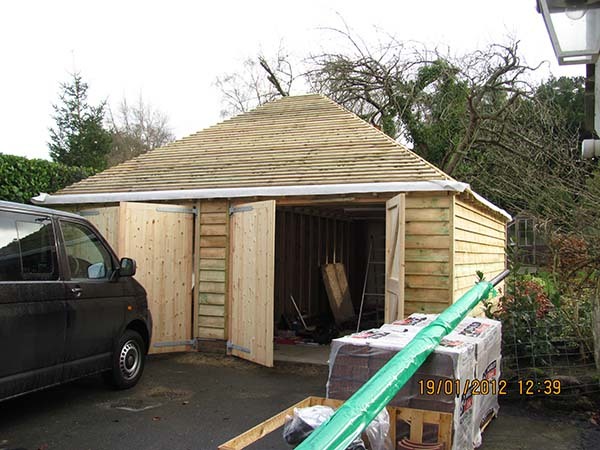 We formed a new base including brick low level walls and formed the bespoke timber framed garage to the new base, clad with timber weather boarding. 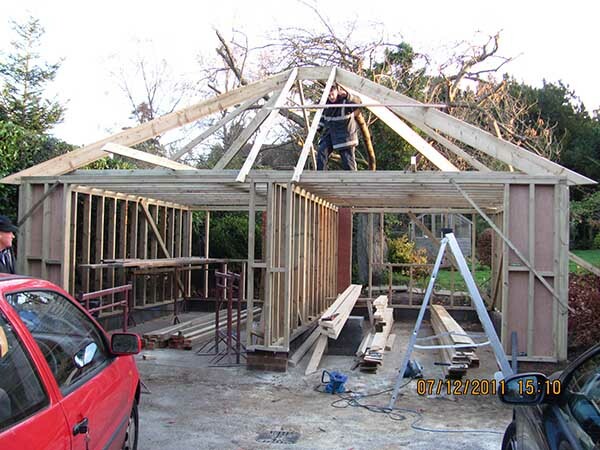 We hung new doors and windows as shown. 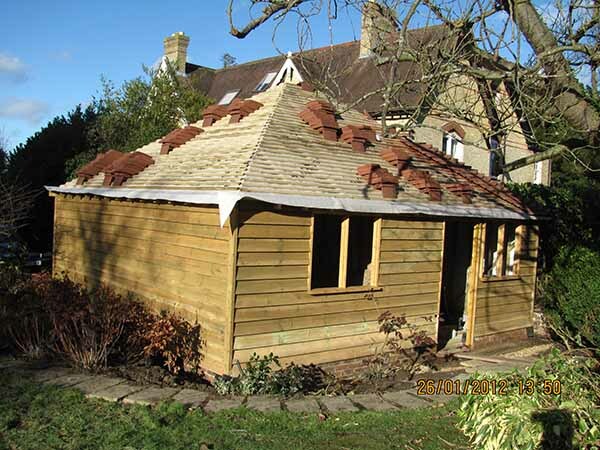 The roof tiles are Marley Antiques clay tiles. 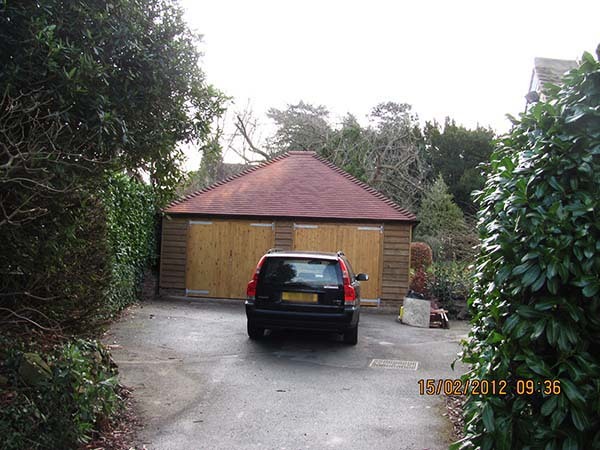 The garage has black hinges and ironmongery and black gutters. 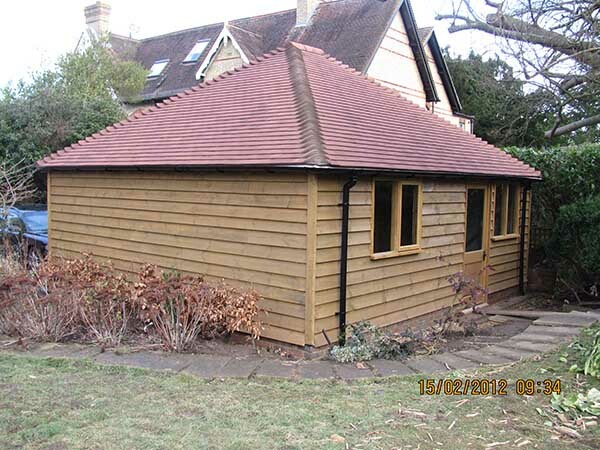 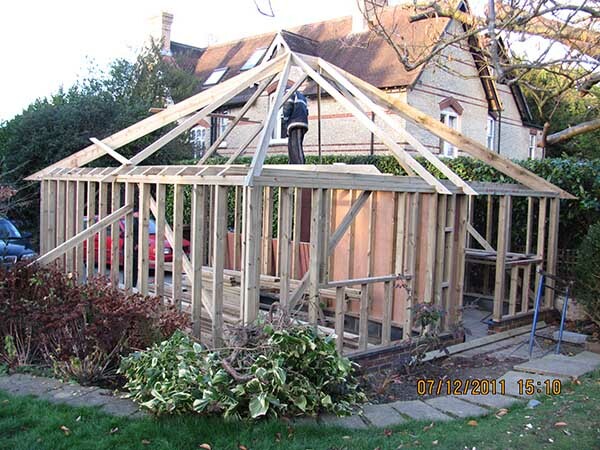 This was a design and build project and from design to completion all works were carried out by us.